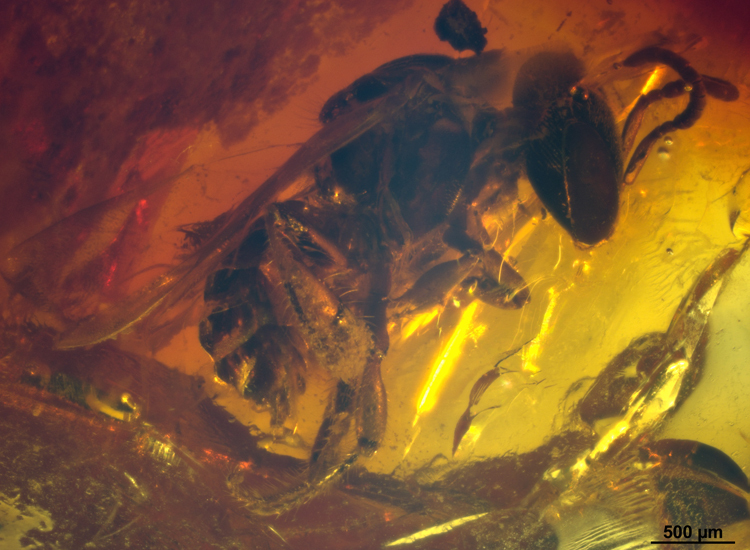 The Milton Sanderson Amber Collection at PRI represents the first collection of early Miocene Dominican amber ever made, and the only unbiased collection in existence. All other Dominican amber collections in the world are biased because they typically come from commercial sources and so, are “cherry-picked.” The Sanderson collection is still raw and unprocessed—it hasn’t been screened for inclusions yet. 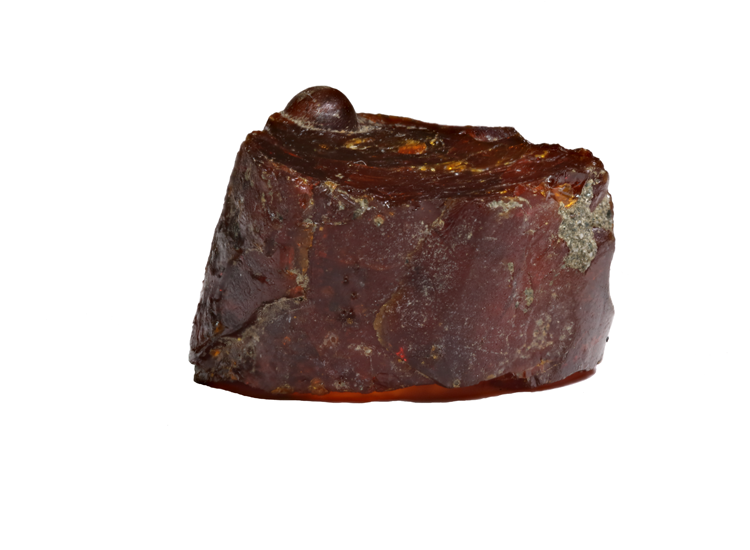 PRI researchers and volunteers will be able to screen the amber and keep all the inclusions they find; nothing will be discarded, keeping the collection unbiased. 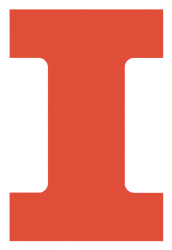 Milton Sanderson (1910–2012) was an entomologist specializing in the taxonomy of beetles, who worked at the Illinois Natural History Survey from 1942 until his retirement in 1975. 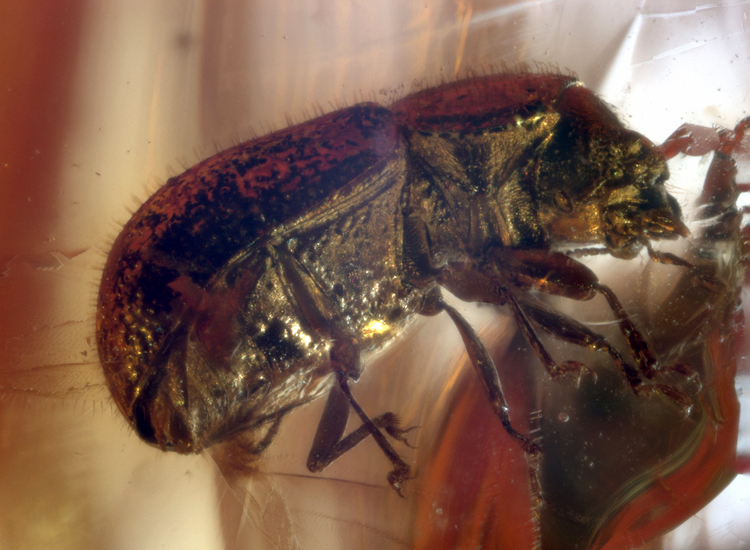 During his long career, Sanderson traveled widely pursuing his interest in Phyllophaga beetles. In 1959, Sanderson traveled to the Province of Santiago in the Dominican Republic to do fieldwork. There he gathered the collection’s 160 pounds of amber—roughly 140,000 individual pieces—and shipped it back to the United States. Milton Sanderson used three of these five-gallon buckets to ship the amber from the Dominican Republic to the Illinois Natural History Survey. A year later, Sanderson and his colleague Thomas Farr described the formation Sanderson had collected from in a paper, published in Science. 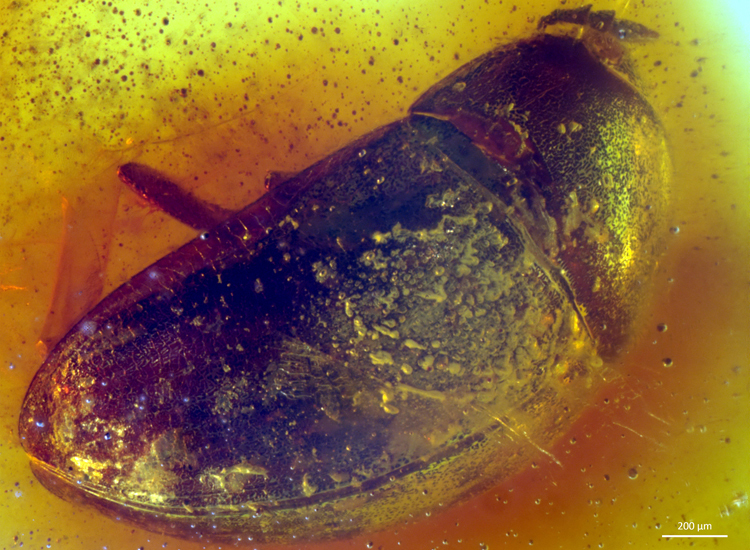 Paleontology curator Sam Heads located the lost buckets of amber underneath a sink in the University of Illinois Natural Resources Building in 2011. The Milton Sanderson Dominican Amber Collection is in need of urgent conservation due to the approximately 40 years it was “lost” in storage. 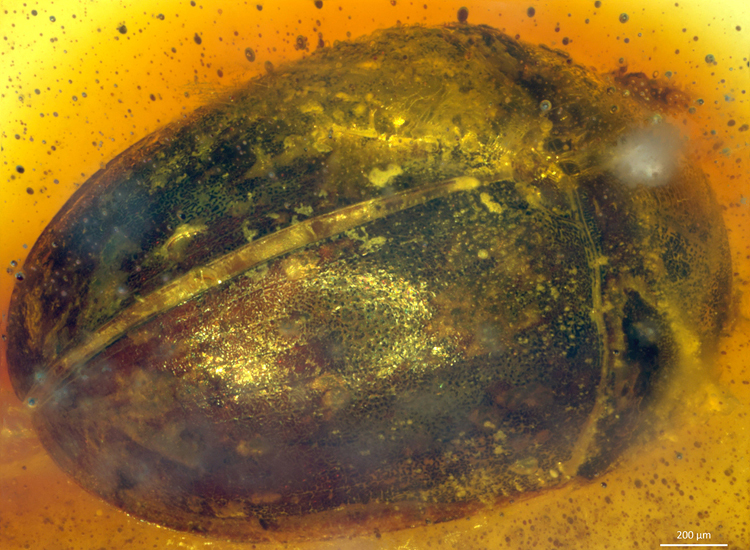 The amber was thankfully not in contact with UV light, but it was subjected to temperature and humidity fluctuations while it was stored under a sink. 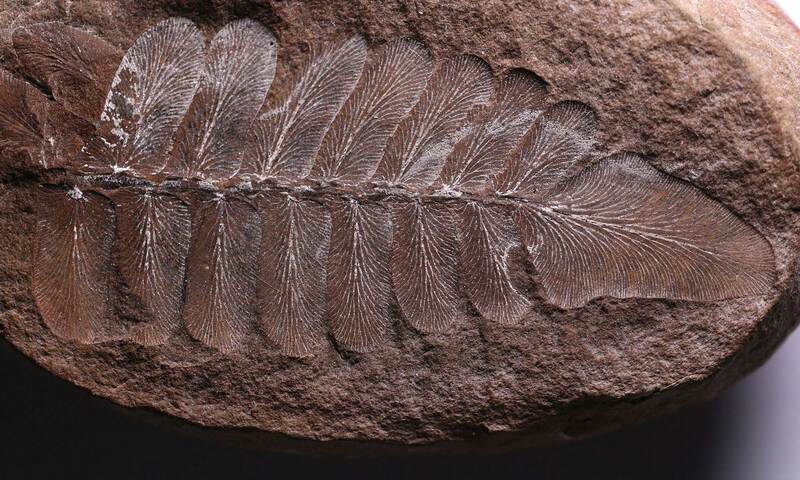 At the time it was placed in storage, it was not known how heat and humidity affect fossil resins. 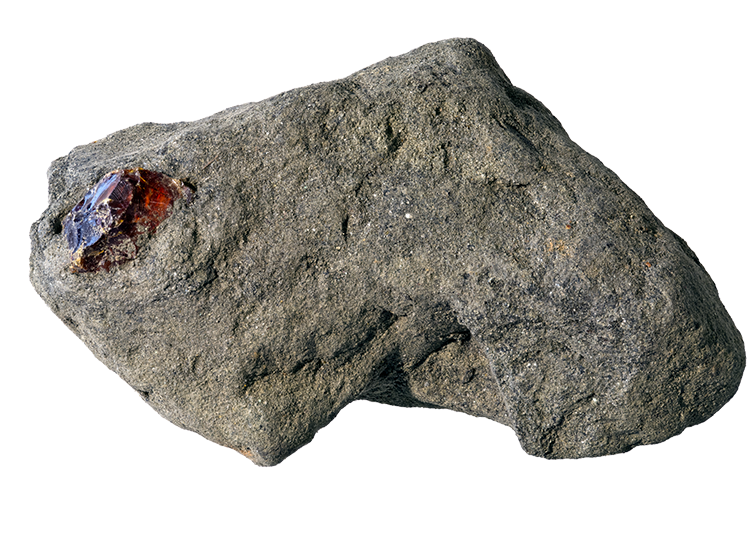 More recent research shows that UV radiation, temperature, and humidity all play a role in the stability of fossil resins, which degrade when exposed to these adverse conditions. Amber should be kept in the dark, and not exposed to significant fluctuations in temperature or humidity. 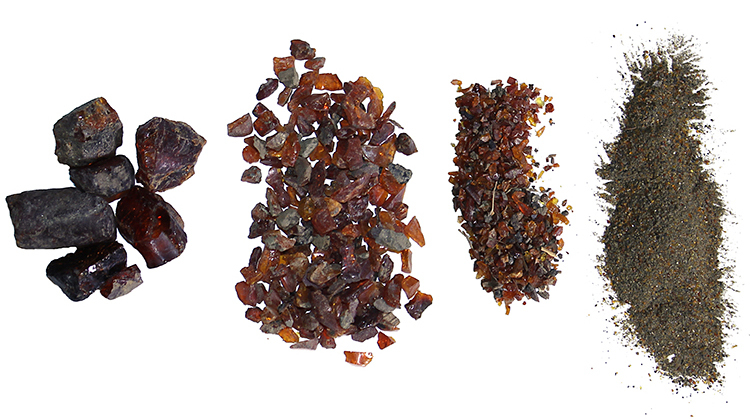 From left to right, the progression of amber degradation visible in the Sanderson Collection. The gallery below shows the step-by-step process required to curate a Sanderson Collection specimen. Steps not shown are the vacuum-embedding of the fossil resin in epoxy resin to protect it from adverse conditions (for example, heat, humidity, UV, and drops/breaks). 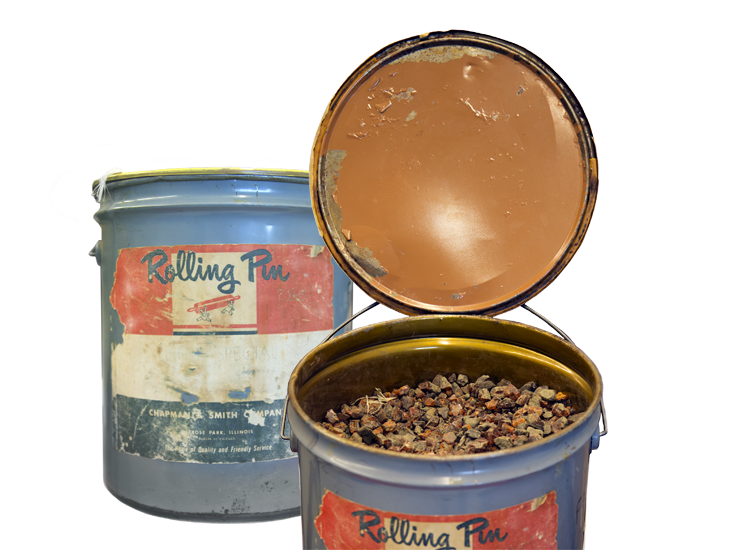 An added benefit of epoxy resin embedding is that it provides optical clarity by filling the crazing, or micro-fractures, in the amber. Each specimen in the Sanderson Collection will need this level of conservation to ensure its survival for future research. 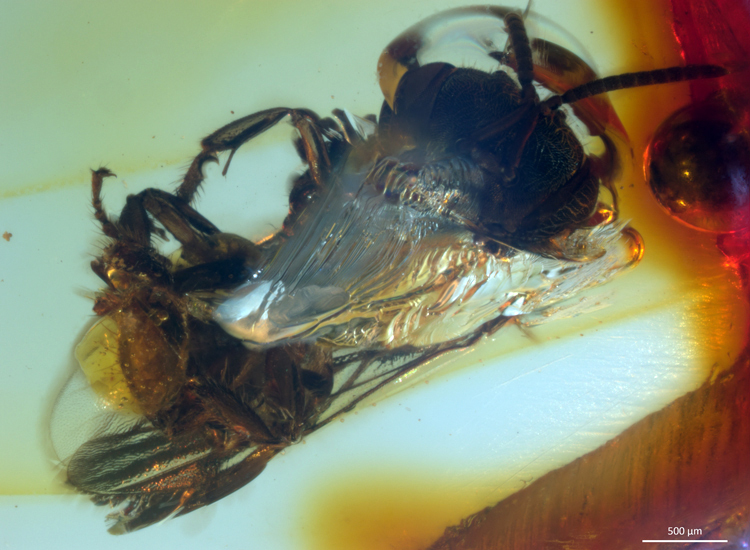 A piece of amber in the Sanderson Collection still embedded in matrix material. 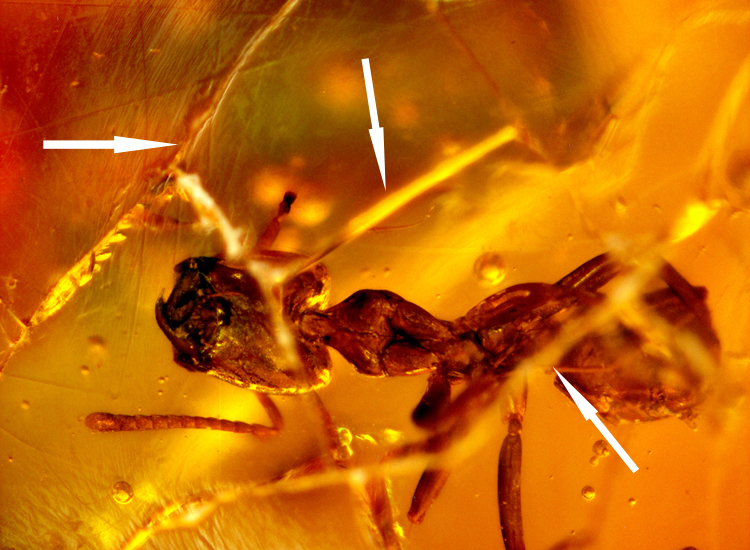 To begin, the amber specimen is screened for inclusions, like insects, plant material, or even mammal hairs. 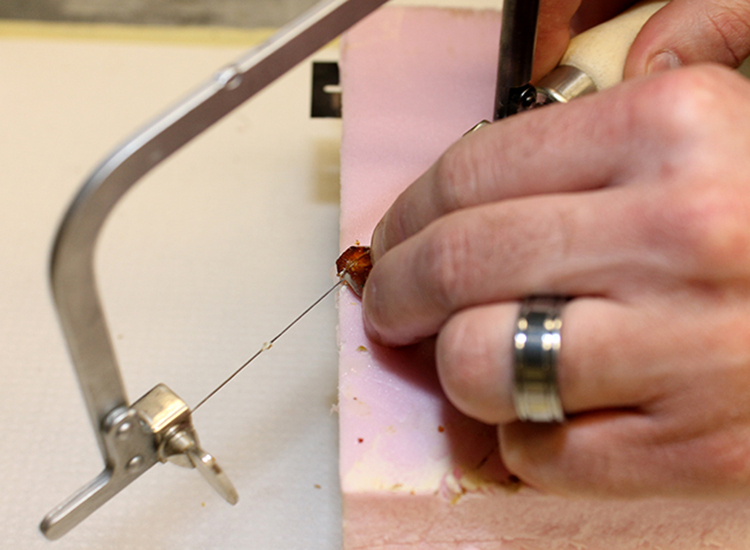 If an inclusion is present, the excess material around the inclusion is cut away using a jeweler’s saw. 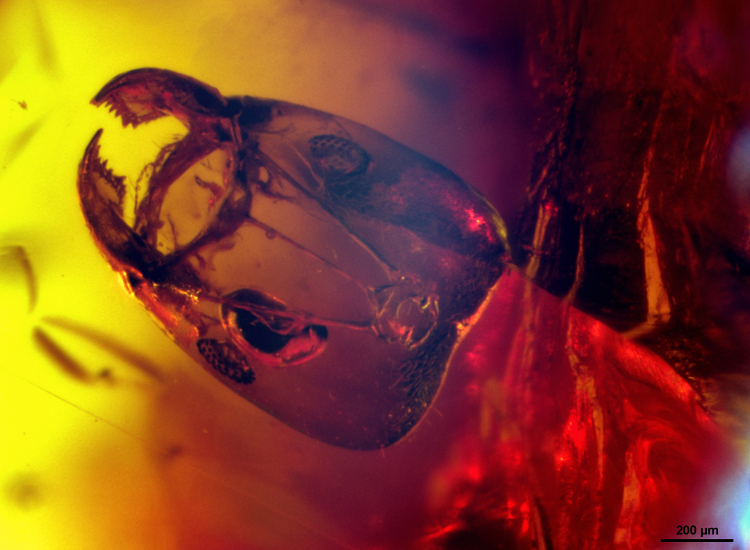 The resulting flat facets, when polished, provide “windows” into the amber for imaging the inclusion. Polishing the facets is a multi-step process, beginning with 240- to 600-grit polishing pads and finishing with 50k mesh diamond polishing paste. 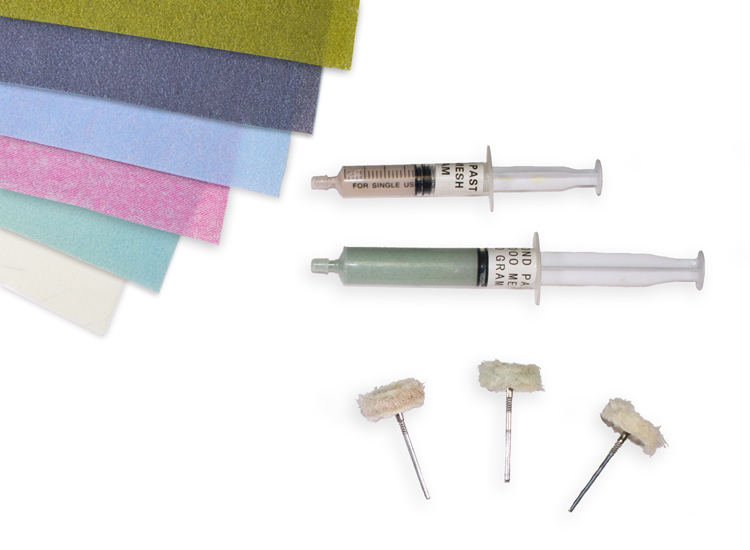 Shown here are progressively finer polishing papers—coarse (green) to fine (white)—14k and 50k mesh diamond polishing pastes, and polishing buffs. 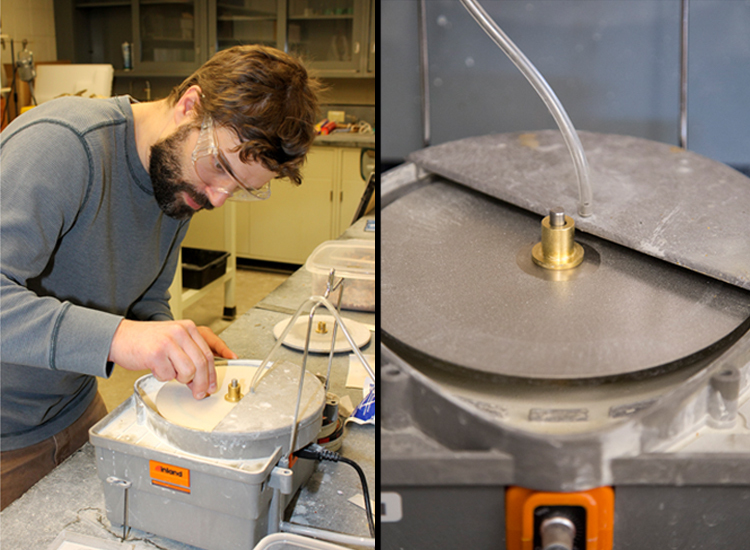 Here paleontology collections manager Jared Thomas polishes a piece of amber with a 1500 grit diamond polishing disc installed on a variable speed lapidary unit (pictured at right). 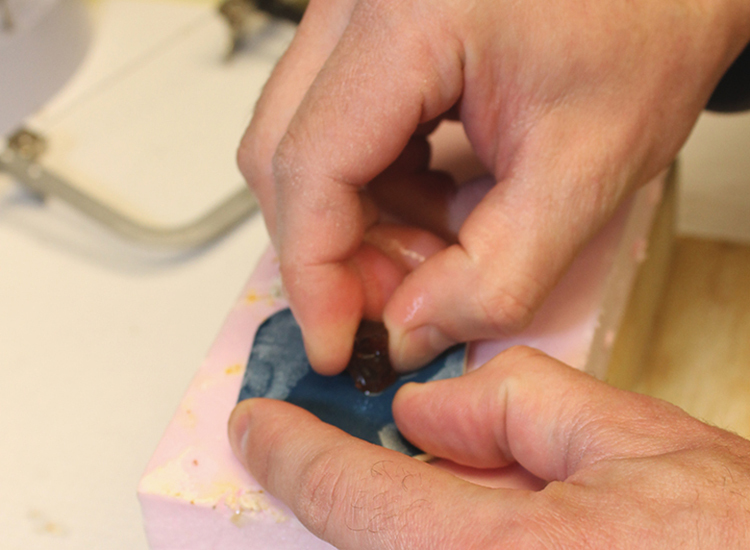 Jared Thomas polishes a piece of amber with an 8,000-grit polishing pad. 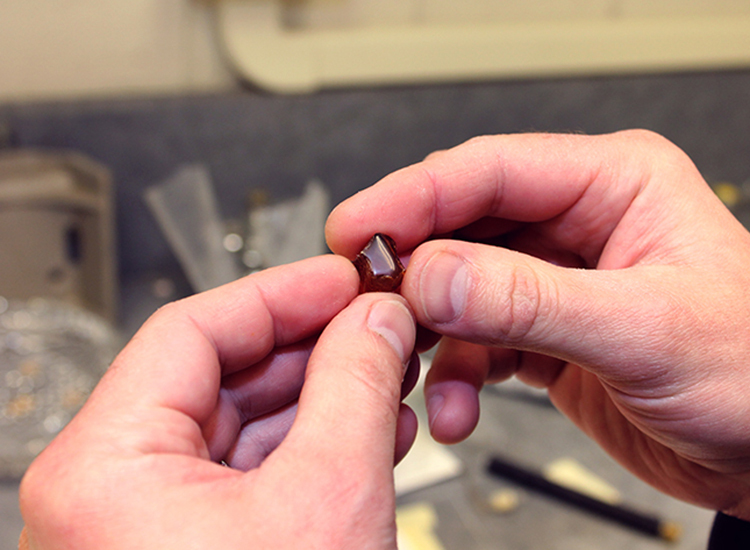 Jared Thomas holds a piece of Sanderson Collection amber that still requires more polishing. After polishing its facets, each amber piece must be vacuum-embedded in epoxy resin to protect it from adverse conditions, like heat, humidity, UV, and drops/breaks. 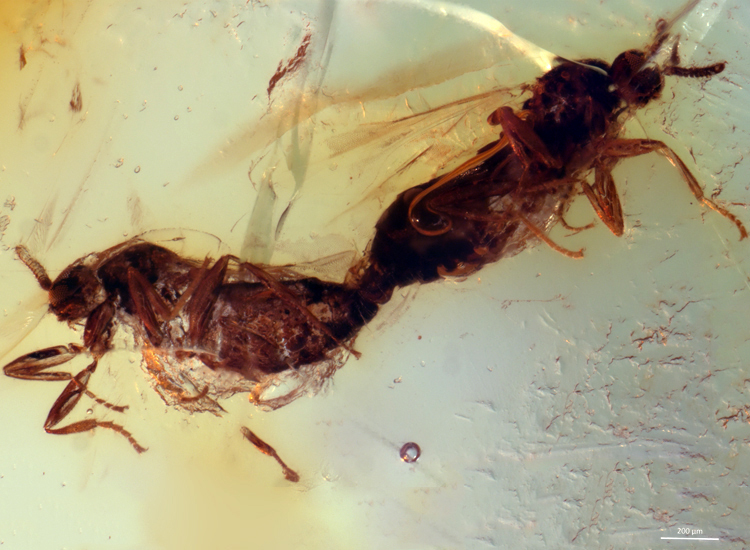 The ant specimen shown here suffers from crazing (cracking) on its surface. 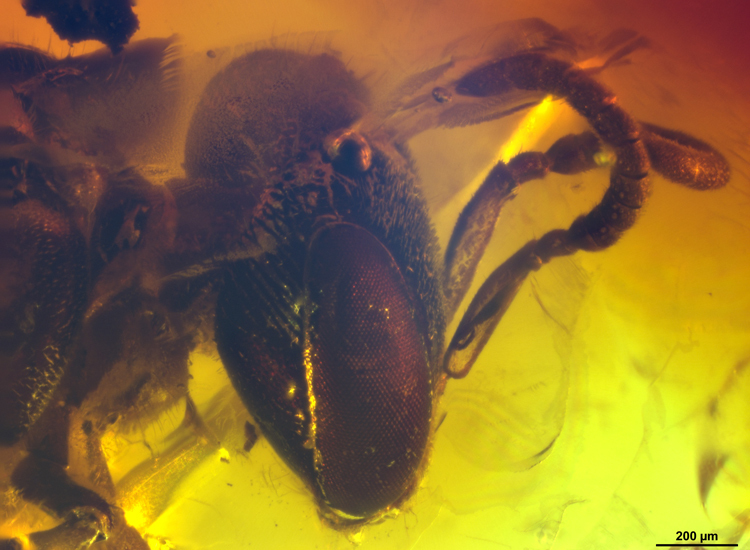 These microfractures in the amber will eventually work their way through to the insect inclusion and destroy it if the specimen is not embedded in epoxy resin. 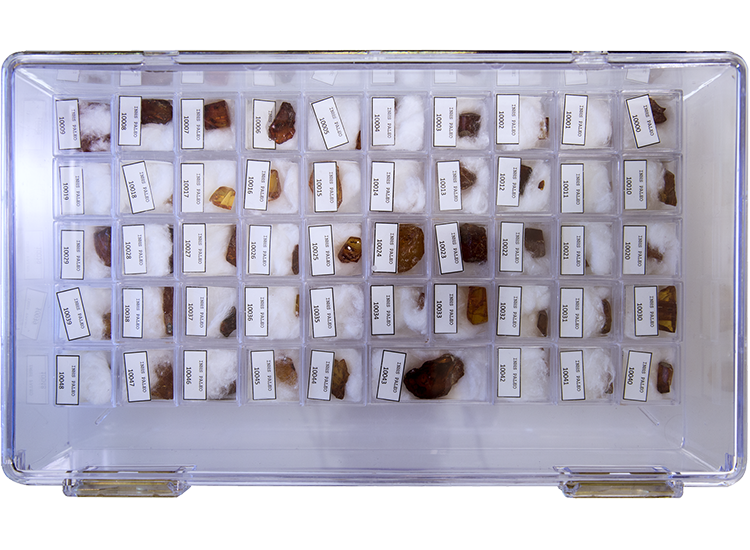 The amber is curated into individual jewelry boxes and placed in a clear plastic container. Each specimen is numbered and entered into the database along with photos of the inclusions. 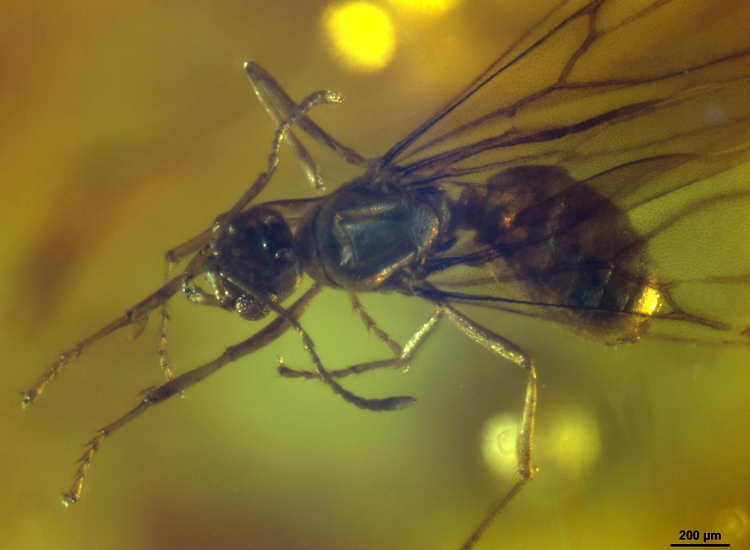 PRI Center for Paleontology researchers and volunteers have already found an astonishing array of insects and other arthropods in the Sanderson collection, including flies, wasps, and spiders. They have also found a handful of flowers and some mammal hairs. Here are some of our recent findings in the Milton Sanderson Collection. The collection has many untold treasures hiding within, just waiting to be discovered. Stay tuned for more images in the upcoming months! Lateral view of a stingless bee with pollen on its leg. Close-up view of the stingless bee’s head. Dorsal view of an alate (winged) ant. An ant with the tentorum visible inside its head. A view of a small ant that was perhaps trapped by a falling drop of resin. 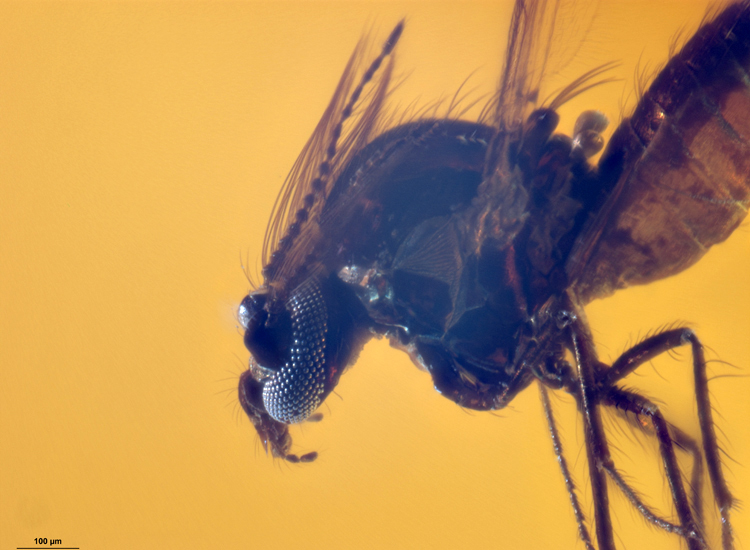 Lateral view of a Ceratopogonid (biting midge). The lack of a backlight while taking this image allowed the amber color to shine through. 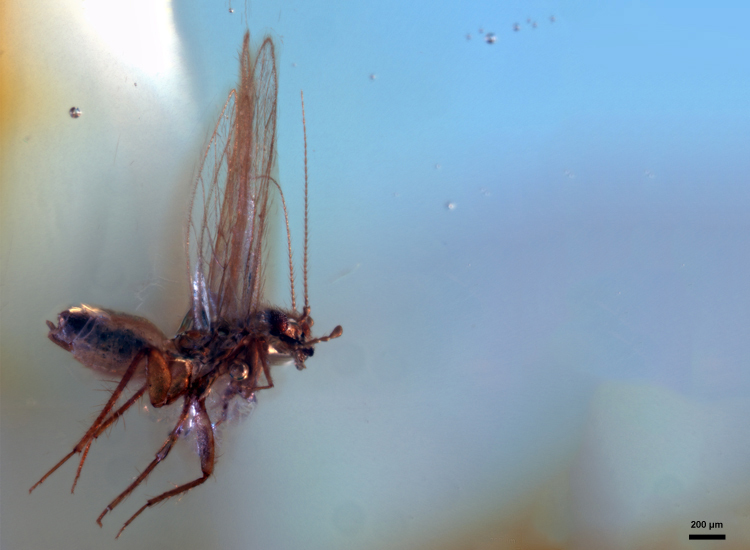 The Ceratopogonid (biting midge) peering at us from inside its resinous tomb. Oblique dorsal view of a small beetle. Dorsal view of the beetle. Oblique ventral view of another small beetle. 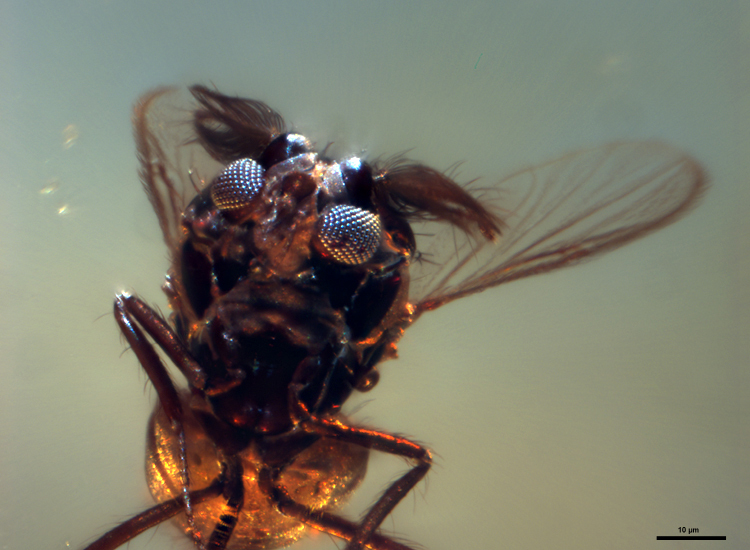 View of two Scatopsid flies caught in copula. 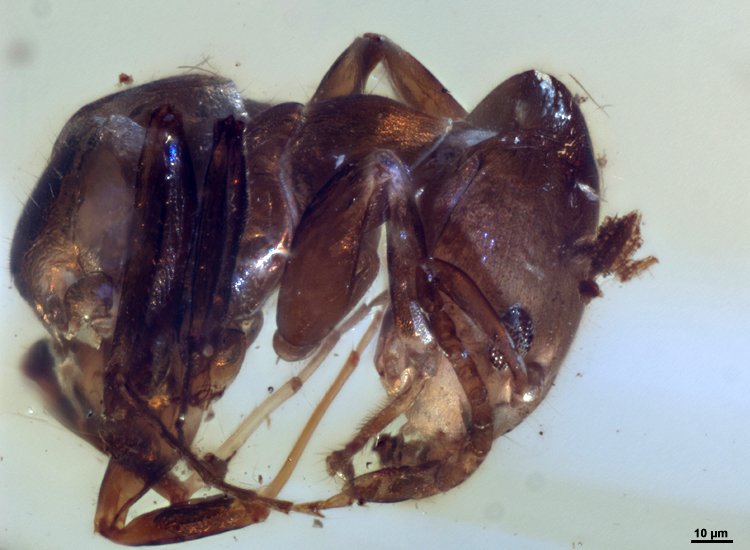 Oblique dorsal view of a stingless bee with a ball of collected resin on its leg. Lateral view of a Psocoptera inclusion.